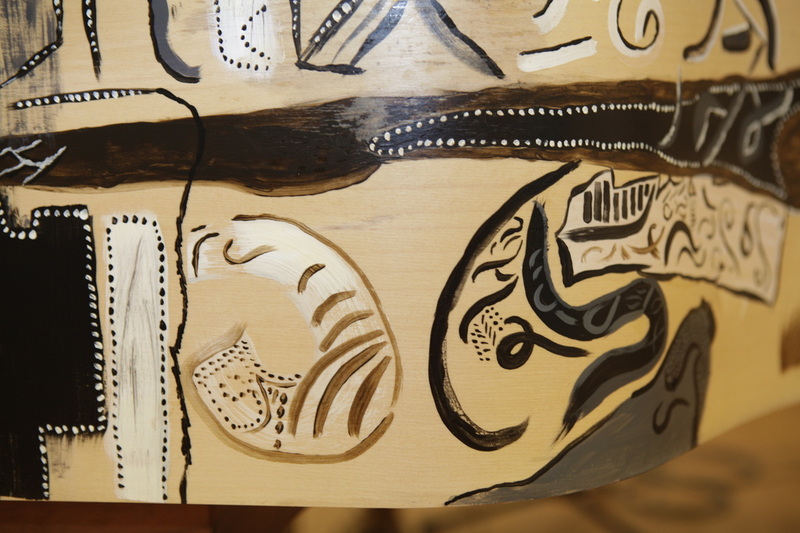 The children of Menindee Central School near Broken Hill, NSW were part of a project initiated by Kevin Hunt to paint scenes on the shell of a piano cabinet to launch Hunt’s composition Byalla. “So much is achieved in understanding culture by listening, and music plays a vital role in this communication,” says Hunt, whose PhD focuses on the connection between ancient Indigenous music and contemporary Australian life. This is an ongoing project and any comments can be sent to us directly.